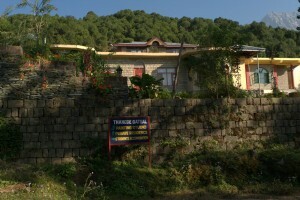 Thangde Gatsal Studio is located just outside the town of Dharamsala, the home of the Dalai Lama, which is located in the Himalayas in Northern India. Our mission is to continue the traditional teaching of Thangka painting by training a new generation of painters and bringing greater awareness and understanding of this fine art form to people around the world. 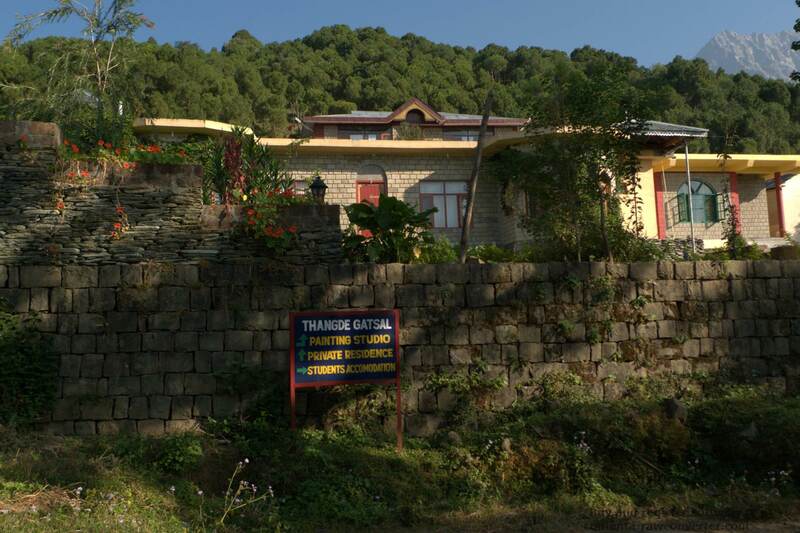 Thangde Gatsal, meaning “harmonious garden of Thangka painters,” is a working studio founded in 2000 that executes highest-quality commissions for clients. The artists work on commissioned Thangkas under the constant supervision of the Master in residence, and are expected to meet the highest standards of work. The school is dedicated to producing at least fifteen exceptional pieces of Thangka art annually. The school has no commercial interest, and depends solely on class fees, commissions and donations to continue the preservation and advancement of this endangered art form. Thangde Gatsal offers a wide variety of classes, ranging from afternoon workshops to twelve-week courses to six-year intensive programs of study. The studio has provided instruction to students from all over the world, including Thailand, Austria, the United States, and England. Since 2003, many students from the Learning Educational Alternative Program in the United States have studied at Thangde Gatsal for our popular one-month intensive modules. 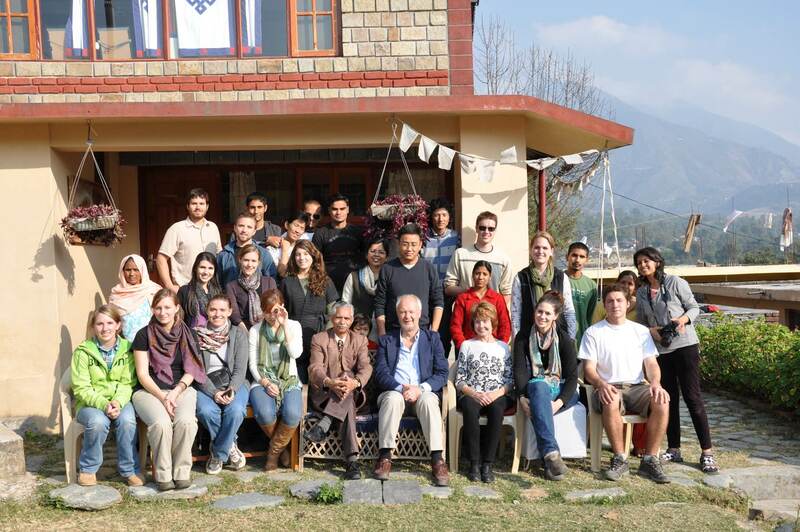 Since 2002, the University of Denver in Colorado, USA sent dozens of students to our school in Dharamsala to learn about Thangka painting in one-day workshops. In 2006, construction began on the studio and residential facilities to meet the school's growing needs. Thangde Gatsal provides a space where students can learn the many techniques required of a Thangka painter without distraction. Comfortable on-site living accomodations are available for students in residential programs and provide a serene, breathtakingly beautiful environment for them to live and learn in collaboration. 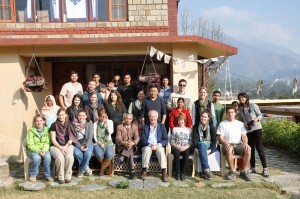 The school welcomes students of all nationalities, ages (18+), and professional backgrounds. The studio has a special interest in enrolling women (Master Sarika is the first female artist as well as the first Indian artist in the history of Thangka painting). The training provided at Thangde Gatsal allows students to contribute to the preservation of this magnificent part of Buddhist religion and culture, and gives them a valuable skill in a world where the unemployment crisis continues to grow. The driving force behind Thangde Gatsal is the husband and wife team of Master Thangka painters Locho and Sarika Singh. Master Locho founded the studio and has studied Thangka for nearly thirty years. His wife Sarika Singh is also a Master painter who functions as both a teacher at the studio as well as its coordinator. Together, they provide the strongest foundation possible for their students to excel. They do this by providing critical elements to their students’ education including but not limited to lectures/demonstrations in English or Hindi for universities, museums, galleries, etc., original Thangka paintings to complement a particular theme or spiritual teaching, and reproductions of original Thangka paintings. Thangka painting is a centuries-old Buddhist tradition that is in danger of becoming extinct. Thangde Gatsal Art Studio and School aims to preserve this unique art form by training a new generation of painters and by bringing Thangka art to a global audience. The success and advancement of the studio and its mission thus far has been accomplished through the enthusiasm and support of our worldwide community and donors. This has allowed for the completion of a new office, a beautiful new studio, and adequate student accomodations. With regards to operations, Thangde Gatsal is entirely self-supporting through a combination of course fees and donations; however, we need your help to continue pushing our organization’s achievements above and beyond all expectations. Additional funding is now required to break ground on our latest project: an on-site museum to house the students’ and Masters’ works of art. This addition to the Thangka Gatsal facilities promises to greatly advance the organization’s mission of preserving and showcasing this critical component of Buddhist religion and culture. The museum will exhibit masterpieces of Himalayan Thangka painting as well as other Himalayan Buddhist art forms, along with artifacts from all of the Himalayan states of India and the surrounding region. To learn more about how you can help us build a home for our masterpieces please email thangdegatsal@hotmail.com. © Copyright Thangde Gatsal Studio, TibetanPaintings.com, Thangka Paintings 2003-2019. All rights reserved.